David Jaffe is a sought after speaker for scholar-in-residence weekends, book talks and guest lectures. 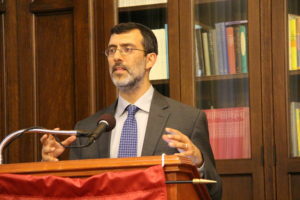 His topics range from the inner-life to peace-making to social justice, Jewish law, history and story-telling. David’s engaging style, warmth and personal stories create ideal learning environments for experienced students and beginners alike. The Yetzer Harah: Enemy or Valued Teacher?